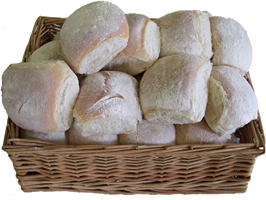 Home of the Waterford Blaa, is a third generation family bakery established in 1921 supplying handcrafted artisan breads locally, nationally and now internationally. Hickey’s Bakery have being making traditional hand crafted bread and blaa’s on their premises in Barrack Street Waterford since 1958 using traditional methods handed down from generations. Now the longest established Bakery in Waterford City. Barrons Bakery Cooke Street Cappoquin Co Waterford is owned & managed by Esther Baron & Joe Prendergast who hand make their blaas with long–fermented dough & bake in traditional scotch brick ovens. Kilmacow Bakery 34 John’s street in Kilmacow Co.Kilkenney formerly know as Harneys bakery who specialised in the Crusty Blaas and run by Paul and Nicky Grace. Want to hear about our latest news? Enter your email address and we will keep you informed.